As the nation’s leading bottled water company, Nestlé Waters North America is dedicated to providing customers with healthy hydration options. Alongside that, we’re also committed to developing our people – enabling them to make the most of the many elements that help them to succeed. Nestlé Waters consists of four business units: Corporate, Retail, Supply Chain and ReadyRefresh by Nestlé. Whichever one of these areas you choose to join, you’ll find yourself collaborating with a highly talented team on work that’s challenging, engaging and incredibly rewarding. You’ll be an essential element of our success: trusted, empowered and supported to make a lasting impact on the very future of our business. It’s a chance to use your knowledge, skills and experience to shine brightly and achieve your ambitions – all while delivering healthy hydration to millions of customers. The Route Relief Driver/Specialist (RRS) function is to effectively service all routed customers, provide pre-ordered products and to ‘up-sell’ additional products of interest. This position specifically covers open routes, each day, to cover for the branch or zone. Each route and delivery day is unique and entails an average of 40-70 stops per day servicing residential, retail and commercial customers. The primary role of the RRS is to effectively service all customers in a safe and productive manner. Desired candidates have highly-developed interaction skills and demonstrate a commitment to providing exceptional customer service. Want to know more? 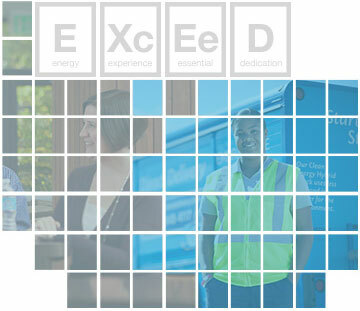 Link to our http://www.view-career-video.com/videos/nestle Route Sales/Delivery Representative Career Video to receive a preview of this great opportunity! Strong team player with leadership skills and ability. Willingness to participate in the mentoring of new hires as assigned. A willingness and ability to operate a commercial vehicle in a manner that ensures personal and public safety. The ability to enter and exit a commercial vehicle safely on average 70-80 times per day. The ability to repeatedly lift and carry up to 45 pounds safely, on average 200 times per day. The ability and desire to work outdoors in various types of weather. 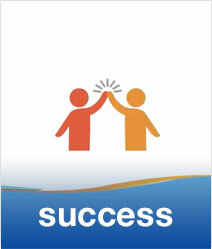 The ability to demonstrate a strong Customer Service orientation. Is able to effectively interact with others, be a team player and solve conflict effectively while having strong verbal communication skills. Ability to secure and maintain CDL Class B license with airbrake endorsement. Currently posess a Class B CDL. Must have prior experience as a supervisor/leader. Motor Vehicle Record – in the last 3 years only 1 license, no driving-related suspension, revocation or cancellation, no disqualifying offenses, no more than 2 moving violations and no reckless driving incidents. Motor Vehicle Record (last 7 years) – no major driving offenses including DUI/DWI, reckless driving, refusal to test, leaving the scene, driving a commercial vehicle without a CDL, or at-fault fatal incident. Must be 21 years of age or older [DOT requirement]. Nestlé Waters North America is the nation’s leading bottled water company. Our water brands include Poland Spring, Arrowhead, Ozarka, Deer Park, Zephyrhills and Ice Mountain, Nestlé Pure Life, S. Pellegrino, Perrier and Acqua Panna. We’re passionate about creating shared value for society in all kinds of ways: from providing careers and benefits to communities where we operate to environmental stewardship – most notably responsible water management, lightweight packaging and advancing recycling in America. As a valuable part of our team, you’ll receive a competitive total rewards package – something that will provide you with the support you need to thrive both inside and outside of work. It’s not just the work that you’ll find fulfilling here though. As you build a career with us, you’ll receive exactly the kind of benefits you’d expect from a leading name in healthy hydration. 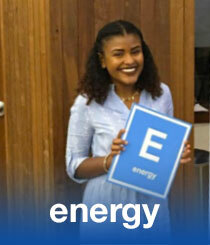 The only question is, what elements will help you succeed at Nestlé Waters? From our aspirations and beliefs to supporting your growth and working together, there are more than a few great ideas that drive us here at Nestlé Waters North America. Discover our elements below, along with some great tips. As a Nestlé Waters ReadyRefresh Service Representative, you become one of the most important elements to our success. 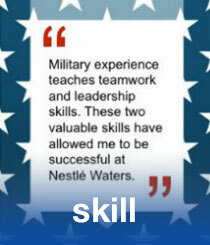 With unique training and skills, veterans of the United States military can build a new and successful career at Nestlé Waters. During Amelia’s internship with us, she worked alongside the Nestlé Waters Diversity & Inclusion Manager to make a real impact on the organization, mentoring program, and leadership development program. The Nestlé Companies are equal opportunity and affirmative action employers and are looking for diversity in qualified candidates for employment: Minority/Female/Disabled/Protected Veteran. If you require an accommodation in order to view or apply to open positions, please dial 711 and provide this number to the operator: 1-877-204-8650. For technical assistance: email NesCareersSupport@icareerhelp.com or call 1-877-204-8650.